Varley co-founder Lara Mead has evolved from hard-core marathon runner to mindfully maintaining her body with a healthy lifestyle and Pilates. 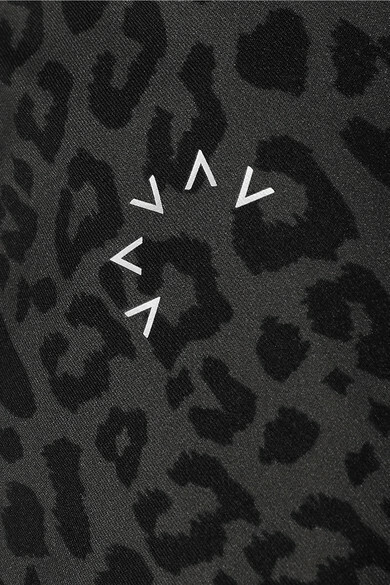 Made from the label's moisture-wicking Letelux fabric, these leopard-print 'Bedford' leggings are suitable for any workout. They're woven with four-way stretch for ultimate mobility and have a core-sculpting waistband and laser-cut cuffs to prevent irritation. Store your keys or card in the back pocket on your morning jog. Shown here with: Varley Sports bra, NO KA'OI Yoga mat.